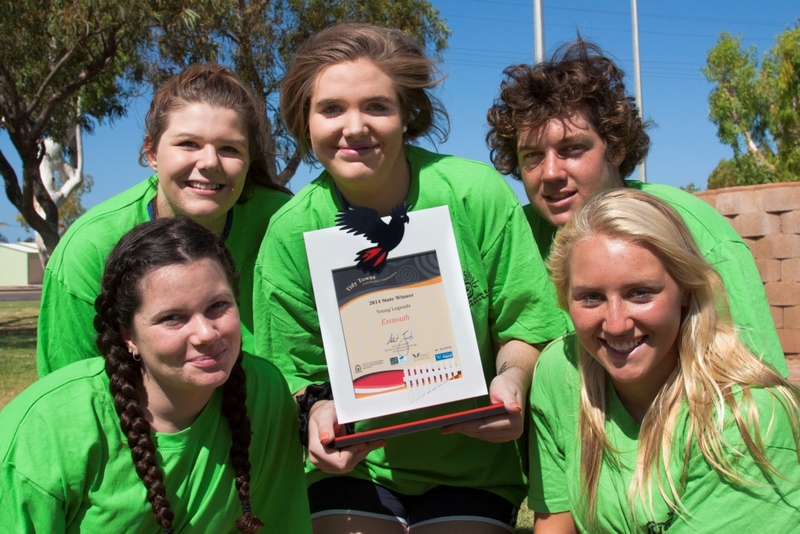 Youth Action Exmouth (YAE) were formed in 2012, with the support of the Shire of Exmouth and BHP Billiton, and aim to provide youth events run by, for and with young people. Performances at the annual Whaleshark Festival. A Halloween dance for young people. Develop an Event Management Handbook that was disseminated to other young people and stakeholders. Created a video titled “My Place” expressing what it means for YAE members to live near the Ningaloo World Heritage region. Facilitated programme elements for the opening of Federation Park and the celebrations for ‘Exmouth 50 years’ that made the events more attractive and relevant for young people. Facilitated a youth event at the local skate park. In November 2014 YAE were awarded the ‘Young Legends’ award within the Tidy Towns competition. This substantial achievement demonstrates the YAE members continued commitment to a high level of youth engagement and development. The program has an explicit strengths-based theoretical foundation which believes young people are the experts of their experiences and have multifaceted and diverse skills, talents and assets. Therefore, the program is led by young people, with their interests and ideas prioritised.